One of my all time favorite film or should say, films. If you watch it in all one day this film made 1915 is about 6 hours long. 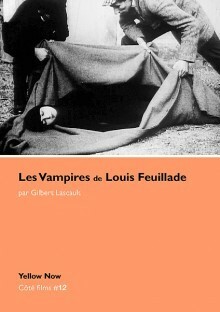 A story about a group of criminals called Les Vampires that is controlled by a stunning villain by the name of Irma Vamp. This book length study on the film has great stills as well. Louis Feuillade is one of the great filmmakers, with beautiful shots of Paris 1915 before our eyes.